Who We Are | La Strega Accounting, Inc.
To provide the highest quality tax representation and consultation to individuals and businesses. To provide assistance and education in taxes and accounting to our clients. To help our clients get a fresh start with their taxes. To ensure our clients understand and are in compliance with current rules and regulations. *We understand the frustration and fear that can come with dealing with the IRS and State governments, and will utilize the fullest extent of the law to aggressively defend our clients’ interests and rights. An Enrolled Agent is a person who has earned the privilege of practicing, that is representing taxpayers, before the Internal Revenue Service. Enrolled Agents are required to pass a specialized exam given by the U.S. Treasury that covers in-depth & complex taxation issues, practice, and procedure rules. Enrolled Agents, like Attorneys and Certified Public Accountants (CPAs), are unrestricted as to which taxpayers they can represent, the type of tax matters they can handle, and which IRS offices they can practice before. What is the difference between a CPA and Enrolled Agent? “CPA” is a state certification. To obtain it, one must pass a rigorous series of examinations which cover a relatively broad area of accounting issues. The CPA is a highly qualified individual, and is licensed to practice only in the State that issued the license. There are more than 248,000 CPAs in the United States. 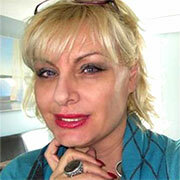 Marina Martin holds a Bachelor degree of Science in Psychology and a Master’s Degree in Business Administration. She has over twenty years of experience in accounting, bookkeeping, and tax preparation. Marina is a federally licensed Enrolled Agent (EA), admitted to practice before the IRS. She also holds a commission for Public Notary. Marina is a member of the National Association of Tax Practitioners (NATP), and the National Association of Enrolled Agents (NAEA). She is also a Fellow of the National Tax Practice Institute(R), which indicates her special training and significant expertise in the representation of taxpayers.